National Painting and Decorating show 2016 set to be the biggest yet. It’s at this time of the year that the excitement starts building for what promises to be another huge Painting & Decorating show. 2016 is predicted to be the largest in the history of the show, with more exhibitors, products and demonstrations than ever before and is the must-attend event for any professional painter and decorator. It’s the biggest annual trade show event in the UK painting and decorating industry and as such shouldn’t be missed by professional painter and decorators or those wishing to stock decorating sundries. The 2-day event offers live product demonstrations, the latest innovations, special discounts and expert advice from leading market brands. 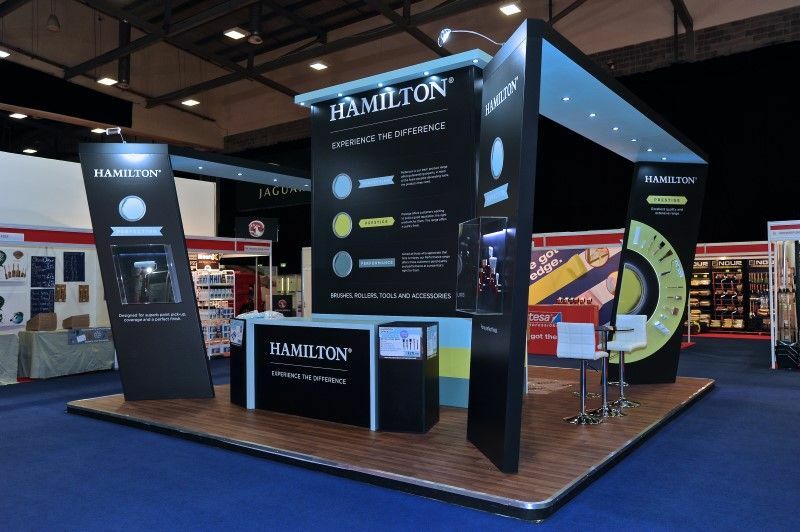 Hamilton will be located on Stand 55 with product demos across the range, including the new Prestige brushes, some fantastic deals and the opportunity to talk with our experts about all things decorating. The show will run from Tuesday 29th – Wednesday 30th November and FREE tickets are available by clicking the logo below.